LUMINOUS FOUNDATION - Lightweight, diffuses light to minimize imperfections - TOP SELLER! - 4 NEW SPRING 2019 COLORS! 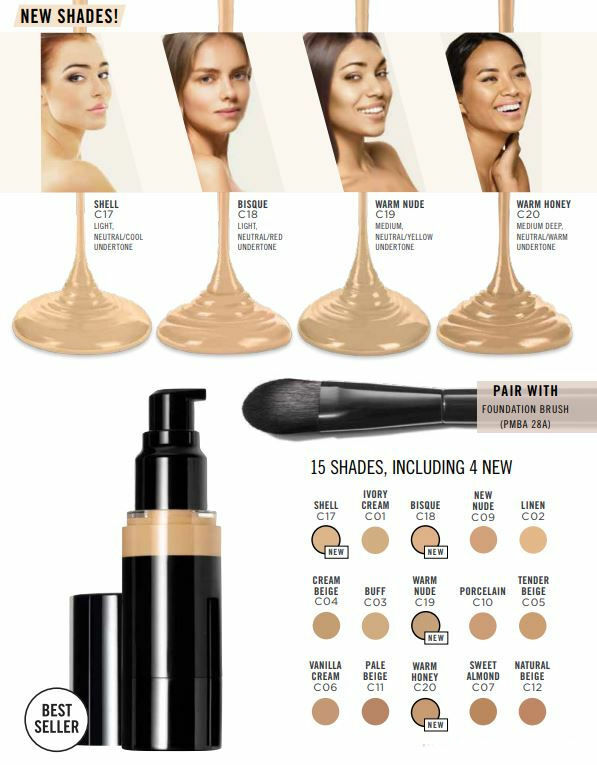 Home > Makeup > Face > Foundations > LUMINOUS FOUNDATION - Lightweight, diffuses light to minimize imperfections - TOP SELLER! - 4 NEW SPRING 2019 COLORS! An irresistible, lightweight foundation that undetectably melts into skin and diffuses light for a perfectly illuminated complexion. Hydrating formula reduces the appearance of fine lines and wrinkles, invisibly conceals and clarifies skin. Apply directly onto moisturized skin or over a face primer. Using Foundation Makeup Brush - 28 (see below), sweep onto skin starting at the center of the face and blending outward and down to the neck.